The western states are basking in the warmth. It's 10 to 20 degrees warmer than usual for this time of year in Las Vegas, and late last year we went 118 days without any precipitation at all. In Colorado, parts of the state have gotten some snow, but other parts are seriously deficient. Some of the ski areas have cut hours of operation for lack of snow, and that's even with snow making equipment. 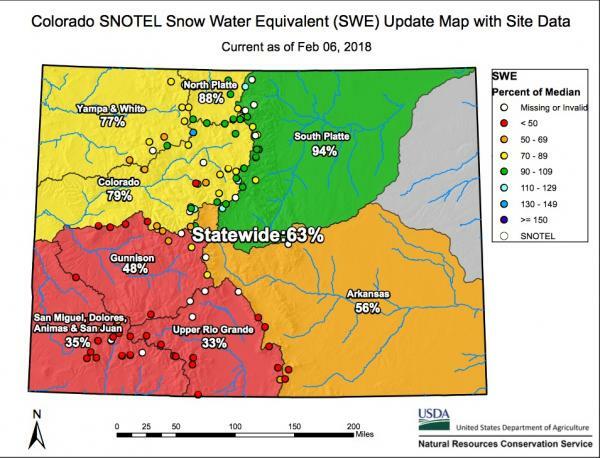 This time of year, through May, we watch the snow pack information - including the amount of water held in the snow (Snow Water Equivalent) because the melting snow is what irrigates crops to the east, and provides municipal water to cities like Los Angeles and Las Vegas. I live in the green zone, but the 93% doesn't reflect how few storms we've had this winter, and we worry that our forests are dry and the fire danger next summer will be extremely high. We're all hoping this year is an anomaly, not the start of worsening drought. You could have been a weather lady. Your talents are magnifico. I bow to your skills. We are in a serious drought mode too. It is cold and dry! We already have tunnels/pipes that bring water from the supposedly wetter western slope to the eastern slope of the Rockies - built in the 1940s/50s - before Los Angeles, Las Vegas, and Phoenix grew so large and now they wish they hadn't signed away that water. Within the various states, there are projects proposed to pipe water from rural areas to cities, but the rural areas are also growing, so people are feeling the pinch. What's this about another guy going around killing people in Vegas?? Someone killing homeless people in Las Vegas - the cops decided it was probably the same shooter. Meanwhile, this afternoon there was an officer-involved shooting a couple streets over from us. We didn't know what was going on at the time it happened. And another deputy shot and killed in Colorado. The drought worry is a bad one. 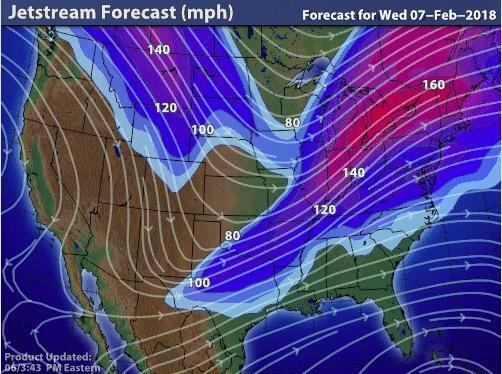 All I keep thinking is why aren't there cross-country pipelines for water? We do it for oil. Water is more precious. Your reply is above. Hah!